Browse: Home » Done is better than perfect – also for architects! Done is better than perfect – also for architects! Have you ever gone overboard in perfecting an e-mail, re-typed it completely a number of times, only to end up erasing everything after half an hour and sending your original version? Have you ever spent just a tad too long to find that “perfect” font for a PowerPoint presentation? Then read on… you may be afflicted with perfectionism. Sometimes details matter. For sure in the world of architecture and construction. I dare say details are of the utmost importance then. Calculation of the maximum carrying capacity of ceilings and roofs… I’ll say – every detail is extremely important. But in a lot more cases than we think, the final details are not important. Architects who can determine what is truly important (where details matter) and what is fluff, a sideshow, are a lot more productive, efficient and ultimately more successful. An added bonus is that often they are a lot less stressed, they are more in charge of things and they seem to have everything under control and just breeze through life. Let’s take the writing of this blogpost. It is my intention that I will not work on this for more than one hour. I have set the timer and in 58 minutes it will go off mercilessly. At that time, the blogpost should be finished for about 90%. Tomorrow I will give myself another 30 minutes to edit and review and the blog will be posted online – perfect or not. Does it still contain typos? So be it. Not one reader will unsubscribe or think the author (= me) is stupid (I hope :-), if a single typpo would show up in an article. The true important part of this blogpost is the main subject, and whether the reader will be inspired and learns something which would make him or her a better independent architect or project manager in the construction. A blogpost must be inspiring and teach the reader something. After having read it, the reader should feel that those 10 minutes of his or her life had been worth it. Whether that typo was there or not, is really not the point of the whole experience. On top of that, you should see each task within its own context. 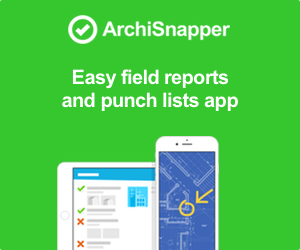 This blogpost is just one of the many things I do to help our software business (http://archisnapper.com/) grow. Our servers must be run continuously, our bookkeeping has to be done, I work together with the developers on new functionalities, the website has to remain up to date, I need to present demos to new clients and we have to keep an eye on our cash flow. To spend 16 hours just to ‘perfect’ this blogpost would be way out of proportion with all the other things that need to be done. By using the “time boxing method” (allowing yourself a maximum, yet reasonable amount of time to get something done) the blog will be posted online, it will be tweeted, sent into the world and 99% of the blogpost will be okay – all within a timeframe of about two hours of work. And in the meantime, I can start work on something else which is also important (or even more important). Are you a wise owl or a dumb chicken? 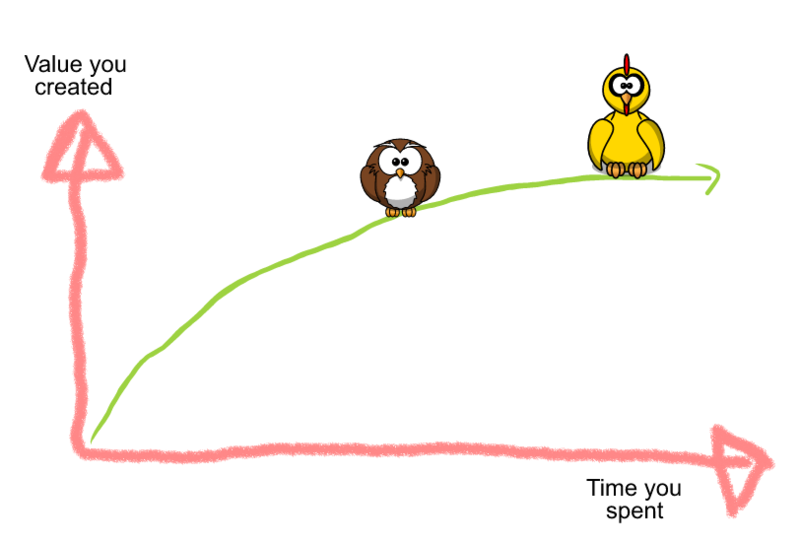 The wise owl spends about half the time to get the job done, compared to the dumb chicken. The remaining half he spends on putting energy into the next task at hand. So, the dumb chicken spends twice as long on a single task as the wise owl. The result of the owl for task number one is 90% OK. That’s not bad. The outcome for the chicken is better, of course. This result is 99% OK.
(We assume that 100% perfection does not exist – in real life there is nothing that is 100% perfect and is completely done). At first sight the 99% is better than the 90%. The chicken performs better! Well, not quite. The chicken has worked twice as long as the owl on her first task. In the meantime, the owl has started work on the second task. Even better, he has already finished task 2 for 90% when the chicken has just finished task number 1. Hey, Peter, that’s all nice and dandy, but I can hardly take ‘approximate’ measurements of a building until they are 90% correct!? No, of course not. Measurements must be 100% accurate. Especially in architecture and construction so many details are very important. And when details are important you spend all the time you need until you are satisfied. This way you can make a difference as an architect and attract better clients by offering premium services. A phenomenal preliminary draft for a client demands many, many, many details. 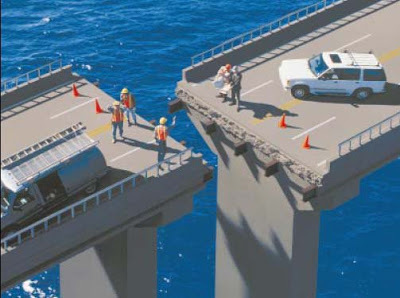 You do not build the foundation of a hospital on ‘guesswork’ until it is about right. But just for that reason it is important to realize that it makes sense to work a little more pragmatic and goal oriented when performing less crucial tasks, instead of perfectionistic. Goal oriented = “being aware of your (main) goal”, and wrapping up your task once your goal has been achieved. It is enormously easy and seductive to let yourself be swept away in irrelevant details. Working on unnecessarily many details is also sometimes a way to subconsciously postpone other matters, because sometimes it is so much more fun to “play” with details instead of doing actual important things. Did you ever notice that you were searching just a little too long for the “perfect” font for your next PowerPoint presentation, or the “perfect” background color for your Christmas card? Then you know what I’m talking about. It is so much more fun to “fool around” with fonts in PowerPoint, than to call an irate client to listen to his problems. Still, the latter is a lot more important for your business. Decide ahead of time if a task is actually important and therefor deserves the necessary attention for perfection, or not quite. Of course, there are grey areas; some tasks are semi-important. But purely the fact that you consider it ahead of time will ensure that less important things also garner less time and attention and more important matters will receive more time and attention. This way all your time and energy are directed to really important matters, enabling you to make a difference as an architect. Believe you me, not a single client cares about your screensaver. But you can take my word for it that clients appreciate it ENORMOUSLY if you call them 6 months after the completion and ask them if they are satisfied with their newly built home. 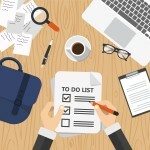 Start your morning by making a list of the MUST DOs for the day. This should be a compact list (don’t make it too long!) of the things you absolutely MUST DO that day. Once you have accomplished that, you may congratulate yourself because you will have had a productive day. Even better: you could actually stop working for the day even though it’s still early in the afternoon. Don’t make this a long list and make sure it’s attainable. Be concrete and focus on the main things. I am convinced that many people could finish work in 6 hours when they are taking 10 hours to accomplish it, as long as they apply focus and prioritize. What would you do with 4 extra hours every day? Less stress, less work, more control. Architects who can put things in perspective and who can distinguish important stuff from side issues, will experience less stress. Why? Because they are not as busy. They finalize a task faster. Take it from me, it just cannot be done to finish every single task into perfection and to go for the full 100%. It will probably cost you 1 hour of work to perfect your next proposal for a client for 95%. To close the gap of those 5% until your proposal is 100% perfect will probably cost you a few hours extra. So, being a perfectionist gives you a lot more work than your competitor / colleague architect who is satisfied as soon as something is 95% OK, and then moves on to the next task at hand. 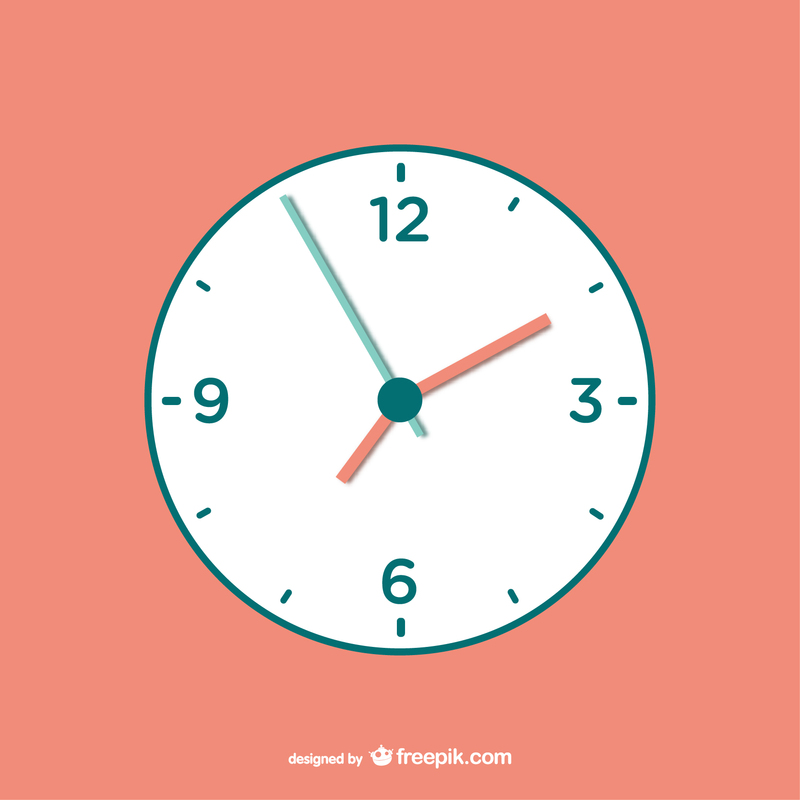 Writing this post takes about 2 hours… sharing it only costs you 2 seconds. If you liked what you read, would you mind sharing it with your colleague architects? Thanks! ← 5 Simpele Stappen voor Schrijnwerkers om tijd te winnen met opmetingen, werfopvolging en oplevering.